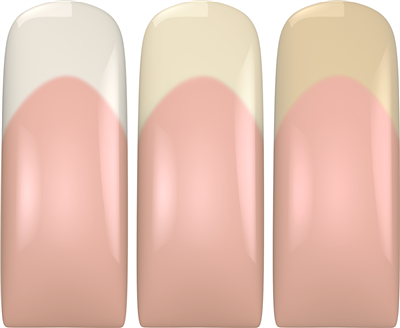 With the Natural White Acrylics you can choose the right color for the free edge and exactly match the color of the client's nails. There is no need to do a follow up treatment for the free edge, it will grow out invisible. When your customer had natural nails and she breaks one, it's easy to fix without being visible.